- Our hotel has been designed according to modern architecture, 101 rooms with balconies looking at the third junction of Hau river, swimming pool and Can Tho city whole view. When staying at our hotel, visitors not only enjoy the multi-service of a four-star standard hotel but also satisfy by our well - trained staff. Located on the Ninh Kieu banks of the Hau River - one of the nine estuaries of the Mekong Delta - Golf Can Tho is a splendid modern style hotel set in the magnificent Can Tho city. - Saigon-Cantho Hotel, your safe and clean home is a combination of Vietnamese hospitality and international standard. - 3-star property under the management of Saigontourist with its array of alternative service and comfort built to ensure both business and leisure travellers who visit Cantho, the nice and charming capital of Mekong delta will enjoy attentive hospitality and personalized service. - Strategically located in the heart of Cantho city. Saigon-Cantho Hotel offers easy access to financial and goverment offices, shopping and entertainment areas, and Ninh Kieu quay in walking distance. - Cantho is 169 km away from HCMC to the South. It takes you 3.30 hours to get there by car. It costs you 35.000VND for a ticket by continual express air-con van between the 2 cities, from 3.00 am until 9.00pm. 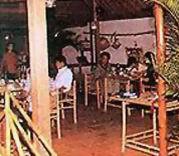 - Restaurant: Cater to reception party, wedding party, birthday party, buffet party, tea buffet, meeting ceremony party. - Banquet & Conference : For business meetings, seminars, cooktail receptions, product launches or other important events, the hotel offers you a range of professional services, technical assistance at all. - Saigon-Cantho Hotel offers 46 guest rooms well equipped with all modern facilities and elegantly designed for your comfort and convenience. - Hair-dryer, Room service menu. - Internet and facsimile services. - Master, Visa, JCB Amex,Dining club accepted.